FDA figures confirm record box office in 2011 and 171m admissions; older demographic boost admissions. UK distributors spent a record amount on media advertising in 2011, according to figures published by the Film Distributors’ Association (FDA). 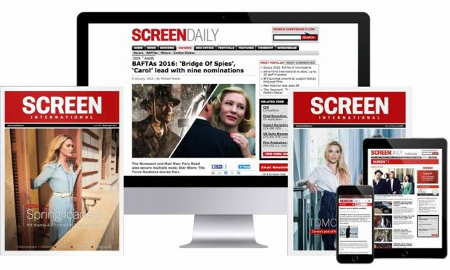 Distributors spent an estimated £330m to launch their films, with £196.4m spent on media advertising – £25m more than 2010 – and an estimated £135m on prints, DCPs and trailers. The Nielsen Media figures were collated at rate card levels and do not include the costs of advertising production, display materials, premieres or publicity activity. With those costs included FDA chief executive Mark Batey estimates distributors’ total spend at around £400m. TV spend increased by £15m year-on-year to £90m, while outdoor spend increased by £9m and online spend increased by approximately £3m. Press spend remained constant at £21m while radio spend decreased by £1.3m. The FDA Yearbook confirms a record box office for the UK in 2011 of £1.129bn, as well as strong admissions of 171m – the second highest in five years. “The UK is an expensive advertising market with relatively low returns. With ten-eleven films opening every week getting them to stand out in a cost effective way is a real challenge,” he said. FDA figures also confirm the trend for increased cinema-going among the older UK demographic. The biggest growth in cinema-going last year was among the 45-64 age group with a 27.7% increase over the 25 years from 1985 to 2010. The 35-44 age group has seen a 16.8% increase and the 65 years+ group a 20.1% increase. Conversely, the 15-24 age group has seen an 11% drop over the same period. Recent releases including The King’s Speech, Tinker Tailor Soldier Spy, The Artist and The Best Exotic Marigold Hotel have appealed to the older demographic.